Dengue virus, transmitted by the mosquito Aedes aegypti and Aedes albopictus mosquitoes, which widely distributed through the tropical and Subtropical areas of the world. There are four known distinct serotypes (dengue virus 1, 2. 3 and 4). In children infection is often subclinical or causes a self-limited febrile disease, However, if the patient infected second times with a different serotype, a more severe disease, dengue hemorrhagic fever or dengue shock syndrome is more likely to occur. Dengue is considered to be the most important arthropod-borne viral disease due to the human morbidity and mortality it causes, NS1 is a highly-conserved glycoprotein that is present at high concentrations in the sera of dengue-infected patients during the early clinical phase of the disease. NSl antigen is found from the first day and up to 9 days after onset of fever in sample of primary or secondary dengue infected patients. Usually IgM does not become detectable until 5 to 10 days after the onset of illness in cases of primary dengue infection and until 4 to 5 days after onset of illness in secondary infections. In primary infections, IgG appear the 14th day and persist for life, secondary infections show that IgG rise within 1-2 days after the onset of symptoms and induce IgM response after 20 days of infection. 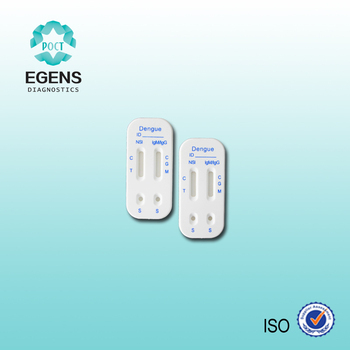 Dengue NS1&IgM/IgG test cassette is a lateral flow chromatographic immunoassay for the simultaneous detection and differentiation of NS1, IgM and IgG in human serum (or plasma). The kit is a diagnostic device for qualitative detection. When a specimen is added to the test, NS1 antigen in the sample react with gold particles labeled with dengue antibodies (contain dengue serotypes1, 2. 3 and 4),and IgG and IgM antibodies in the specimen react with gold particles labeled with dengue envelope proteins. As this specimen/particle mixture migrates along the length of the test, the dengue NS1 antigen, IgG and IgM antibodies particle complex is captured by the relevant NS1, IgG and IgM test bands located in the test device window causing a pale to dark red band to form at the test region of the cassette window. The intensity of the bands will vary depending upon the amount of concentrations present in the sample. The appearance of any color in test region should be considered as positive for NS1, IgG and IgM. A red procedural control line should always develop in the test device window to indicate that the test has been performed properly. For serum or plasma, collect blood into a container without anticoagulant. If the specimen cannot be tested on the day of collection, store the serum or plasma specimen in a refrigerator or freezer. Bring the specimens to room temperature before testing. For whole blood specimen, collect fresh blood specimen just prior to using the assay. Specimens must be fresh. Whole blood collected by venipuncture should be stored at 2-8°C if the test is to be run within 2 days of collection. Do not freeze whole blood specimens. Whole blood collected by finger stick should be tested immediately. Dilute the specimen 10 times with diluent(e.g. Pipette 1 drop about 5µl of specimen into the same well and then add 1 drop about 50µl of diluent into the same well). Negative: Only control pink band appears on test region of the cassette. This indicates that there is no detectable NS1 antigen in the specimen. Positive: Two pink bands(C,T) appear on test region of the cassette. This indicates that the specimen contains detectable amount of NS1 antigen. Invalid: If without colored band appears at control region, this is an indication of a possible error in performing the test. The test should be repeated using a new one. Negative: Only control pink band appears on C region of the cassette. This indicates that there is no anti-dengue IgM and IgG in the specimen. Positive: Three pink bands(C,G,M) ,two pink bands(C,G) or(C,M) appear on test region of the cassette. This indicates that the specimen contains detectable amount of anti-dengue IgG and IgM, only IgG, only IgM. 2. Use it before expiry date. 3. The package of kit should not be opened until it reaches the room temperature if it taken out from the refrigerator. 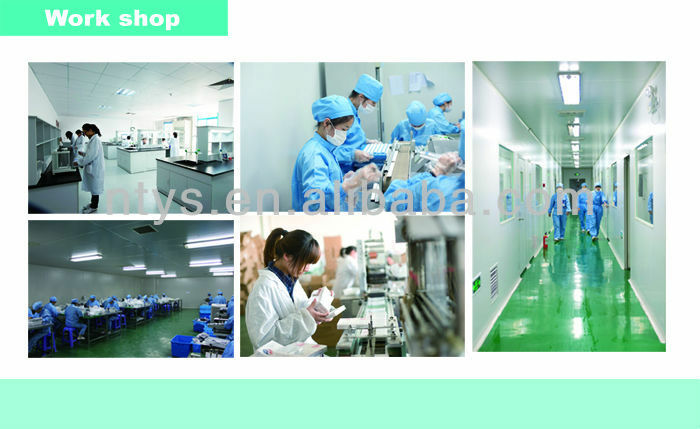 Use the test kit as soon as possible but within 1 hour after removal from pouch specially if the room temperature is more than 30℃ and in high humidity environment. 4. Old serum can not be used. If the serum is thick, it can be used only after being separated. 1. The test is for in-vitro diagnostic use only. 2. 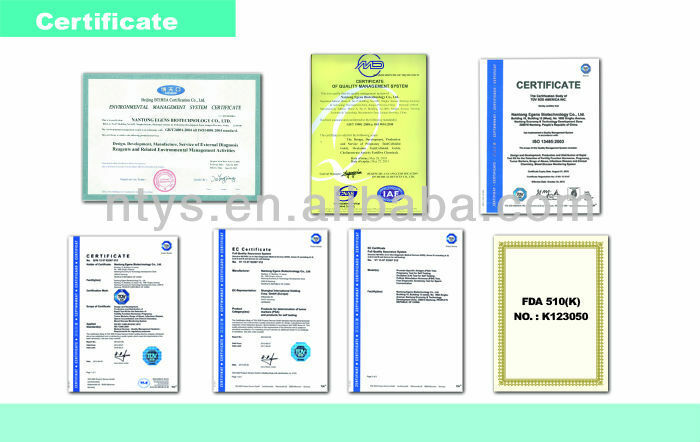 The test is qualitative filter detection,it can not be used as the final test for blood donor.